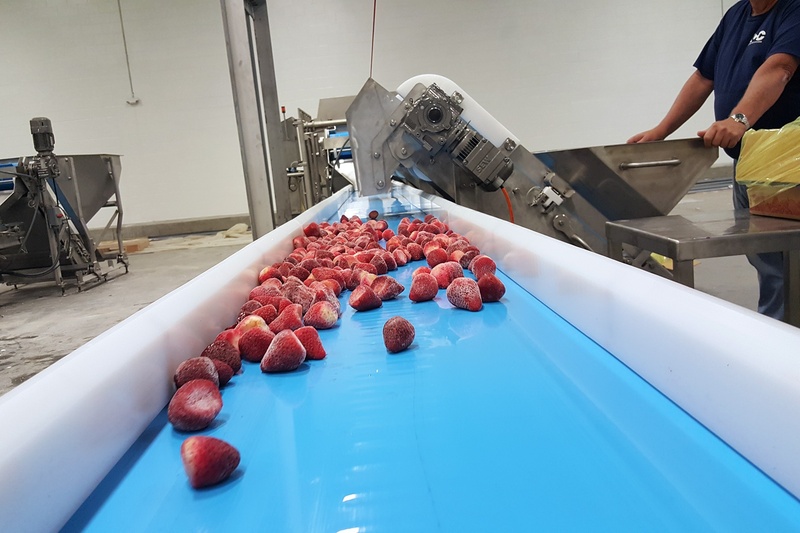 NCCAS provides food producers with sanitary conveyor design, packaging line design, system integration, and final installation and commissioning. We’ve been completing successful projects for food producers for more than 30 years – in fact, it’s how we got our start. Food safety is, and always has been, our number one priority. NCCAS has more than 30 years’ experience working with food producers to provide the most complete turnkey service available, from the start of identifying your project’s requirements to commissioning and start-up of your new system. 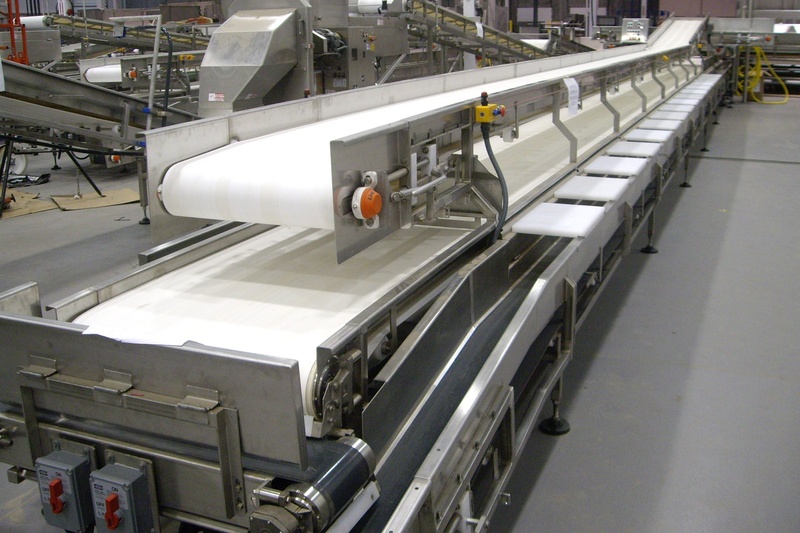 Our knowledge and experience includes building and integrating a wide variety of sanitary conveyor systems, packaging line systems, and everything in between. The team at NCCAS removes the complexity of juggling vendors who are focused on only one section of your system; instead, we’re able to help you complete the project start to finish, identifying roadblocks you may have overlooked and recommending innovative solutions to challenges that arise. As with every project, we also support our clients after installation with start-up support. NCCAS was started to fill a void in the food industry for producers. 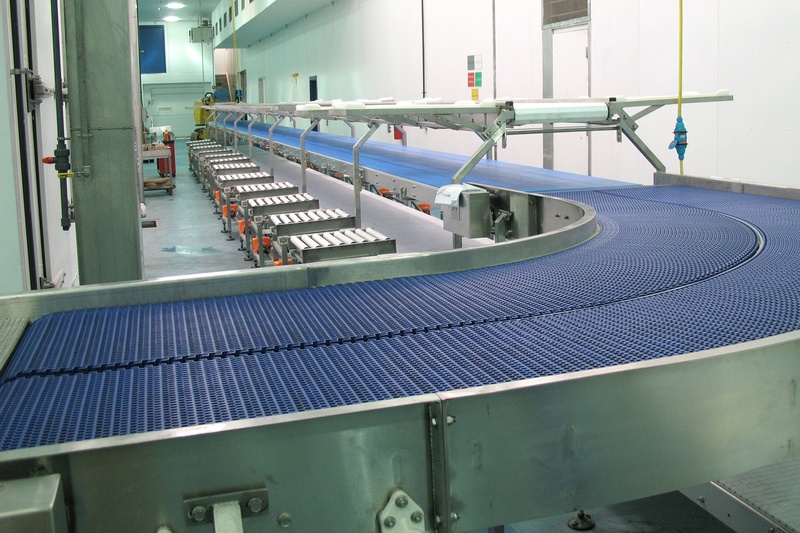 NCC focused on sanitary conveyors so that food processors had a manufacturer they could trust with their food safety. We expanded to provide non-sanitary conveyors and packaging line integration so we can serve food producers with full systems and service, start to finish. Our history and experience allow us to handle the most sensitive and the most complex projects for foods with high safety risk and others with low safety risk. We offer turnkey sanitary and non-sanitary conveyor systems as well as customized systems tailored to our customers’ requirements. 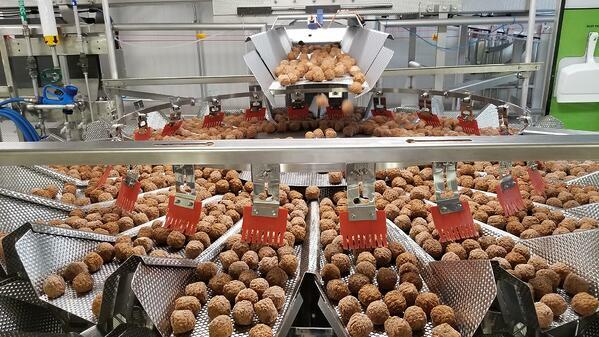 Our manufacturing process is tailored for the food industry. We fabricate our equipment with only non-ferrous materials such as aluminum and stainless steel. By eliminating exposure to carbon (mild) steel and ferrous particles, our equipment is better protected against rust and food contaminants. Our industry-leading engineering capabilities and experience tackling specialty applications, challenging processing spaces, and new food products make us the smart choice for innovative food producers with food safety as their top priority. COMPLETE SYSTEM DESIGN: Food producers requiring complex product-handling and complete process automation have turned to NCCAS as the experts in sanitary and non-sanitary automation systems. Based on the product specifications, process flow, and space constraints, our application engineers are artists when it comes to designing solutions. We don’t just buy components and machines and assemble the line; NCCAS engineers can also design new, innovative systems specifically for our clients’ applications. PROVEN PROJECT PROCESS: The NCCAS team has developed and perfected the process for designing, building, implementing, and commissioning food producers' automation systems. Our proven process starts with an in-depth analysis and project outline before we even begin, and that commitment to thorough communication and attention to detail continues throughout the process. COMPREHENSIVE SYSTEM UNDERSTANDING: Our team has a deep understanding of how each phase of automation impacts the next. This enables us to develop what our customers need in the conveyor system and also anticipate needs for additional equipment, integration, controls, and packaging for the entire process. INDUSTRY KNOWLEDGE: Our customers don’t need to educate us when it comes to food safety regulations and innovations; it’s part of our job to know. Industry regulations are always changing and we implement any new or upcoming changes as well as share new innovations we observe across the many food sectors we serve. WIDE CUSTOMER BASE: Our history and reputation in the industry have allowed us to complete projects and gain experience in a vast number of different industries. We serve clients in industries from raw meat handling to high-end coffee packaging. Our experience in so many industries allows us to apply new knowledge, innovation, and best practices to all our clients projects. Our customers benefit from this cross-industry learning they may not have otherwise heard about. FRONT END SUPPORT: If our customer has a new product or unique concept, we help them to develop the concept, produce and package the product, and automate the final system.This could include working with our customer to develop their concept, define the process flow, and finalize the process. We’re able to make suggestions and recommendations to ensure the project starts with a solid foundation. BACK END SUPPORT: From installation supervision, complete electrical and mechanical installation, start-up support, and training – NCC can provide all of these important steps. Our complete set of skills lets our customers know we will continue to support them even after the system is up and running.